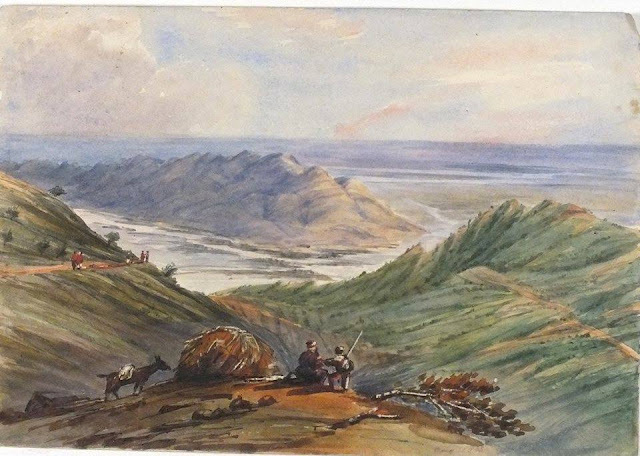 Sheikh Budeen or Marwat range, 1864. Watercolour dated August 20, 1864. By Henry Brabazon Urmston. The locals call it Shin Ghar or ghund. Its crest divides the districts of Lakki Marwat and Dera Ismail Khan. It rises abruptly to a height of 4,516 feet. This range is mostly composed of soft sand stone, and is rapidly disintegrating. Surface soil of southern Marwat has been formed by denundation from this and other neighbouring ranges. British built a hill station there. 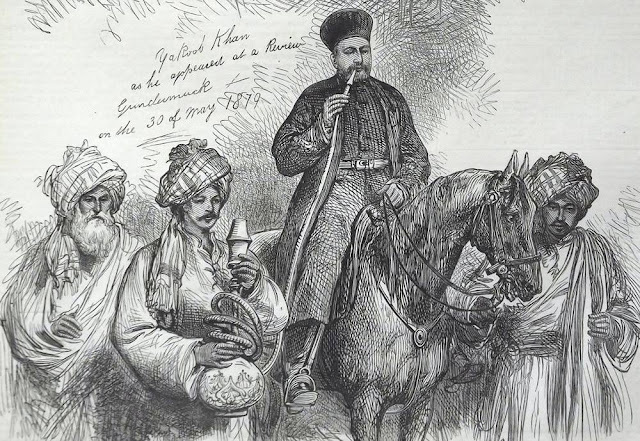 Major Urmston writes in 1864 that, "There are no two opinions on the healthiness of the sanatorium. 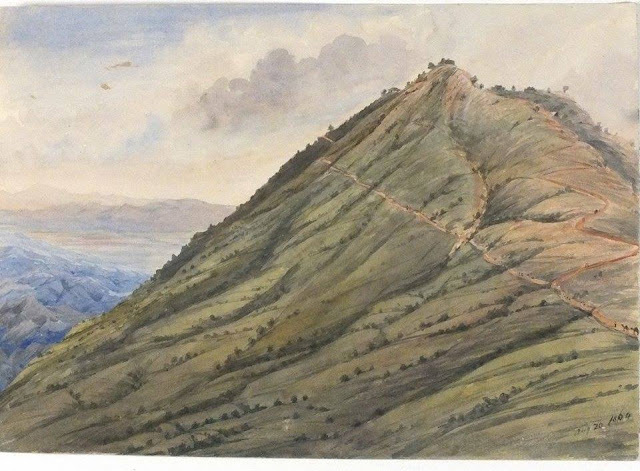 It has been proved beyond doubt to be a most valuable place of resort for officers and families on the frontier during the hottest months of the year; and, after the experience of two seasons, I can safely affirm that, though its outward appearance is less attractive than other hill stations, its beneficial effects upon the constitution, especially of ladies and children, are very great. The cool breeze which sets in towards sunset is very refreshing, and dense fogs and clouds are rare."